The build quality was quite good, not exceptional, but a bit better than the average NX lens. One characteristic of the lens was quite annoying while using it. The lens is quite big and heavy and when you hold the camera down (I mean the is lens facing to the ground) the lens expanded itself quite easily (lens creeping). Samsung must have been aware of this as they have added a button on the lens to lock the inner barrel. I found myself quite often trying to change the focal length with the lens being locked. I think you get used to it after some time, but in the beginning it was quite annoying and I missed some spontaneous shots. Speaking about autofocus this lens is currently the fastest lens of the NX line up. Using it with one of the second generation cameras or newer the lens is noticeable quicker than most of the other lenses. I seldom had problems with this lens and in general I was quite impressed about the speed of this lens. 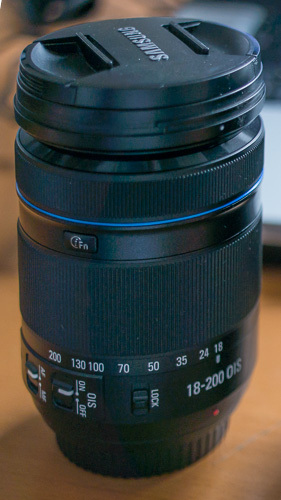 I have never used this lens for manual focus so I can’t tell you exactly how this feels, but I assume it is similar to the other NX lenses which use fly-by-wire (e.g. the kit lenses, except the power zoom, or the pancakes). The focus is quite and the fast autofocus makes this lens a really good choice for everybody who wants to use it for filming. In quiet surroundings you actually hear the lens in the video, but it is not that intensive and disturbing as with the other lenses. Hint: You should update your lens firmware to the latest version. I read reports that the reliability of autofocus was greatly improved with firmware version 1.10. 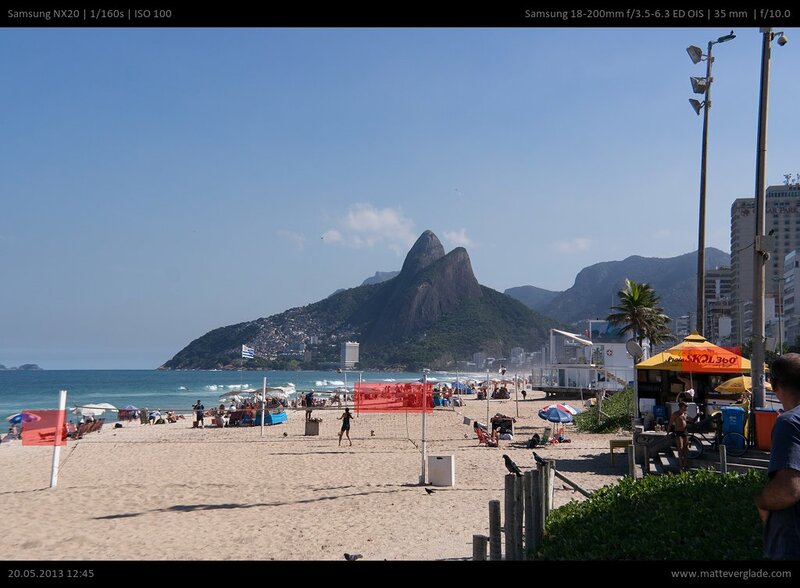 See the Samsung NX lens firmware list for more information. The OIS is very good. Without OIS I am trying to shot photos using an exposure time of at least Error: https://matteverglade.com/wp-content/plugins/wpmathpub/phpmathpublisher/img/ must have write access Read the official wpmathpub plugin FAQ for more details. Using the OIS I could shoot sharp hand-held shots at exposure times between Error: https://matteverglade.com/wp-content/plugins/wpmathpub/phpmathpublisher/img/ must have write access Read the official wpmathpub plugin FAQ for more details and Error: https://matteverglade.com/wp-content/plugins/wpmathpub/phpmathpublisher/img/ must have write access Read the official wpmathpub plugin FAQ for more details, but this depends on the steadiness of your hands and the focal length. Nevertheless it drains the battery quite fast. If you use this lens regularly I would suggest not to use Samsungs OIS mode 2. Instead better use OIS mode 1 to save some energy. More information on this can be found in the NX camera settings guide. I might have had a decentered copy of this lens. I am not quite sure about this, but the left side is a bit weaker than the right side and I assume this is due to a decentered lens. I couldn’t check this with another lens, but other users reported that they had similar results with their lenses. This could be either bad quality assurance or simply a bad lens design. 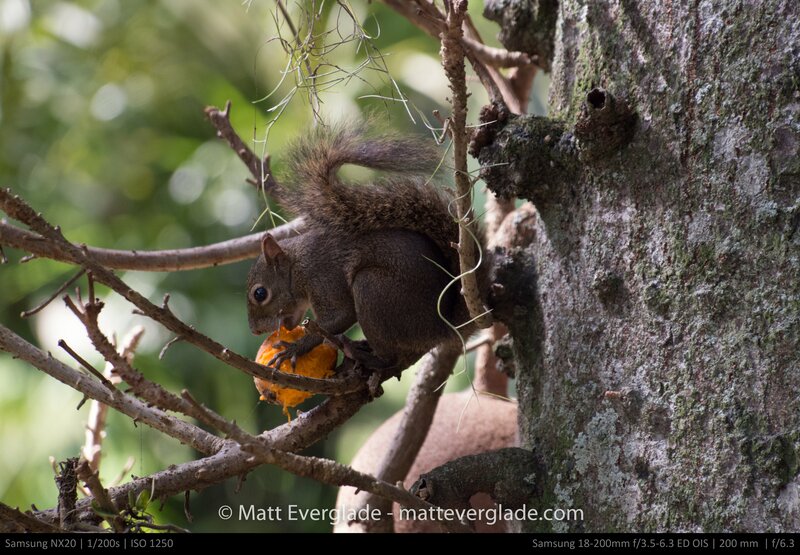 In the next two chapters I will discuss the image quality mainly considering with the following two images. I highlighted some spots in the image to discuss them in full resolution (100% crop) below. 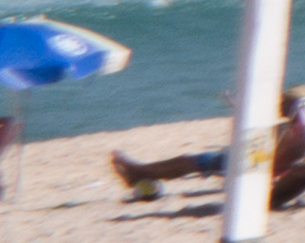 Sample 1 is a good example for the weaknesses regarding chromatic aberration of this long zoom lens. You can see a green border at the corner of the stone. The structure of the stone is also surrounded by green and red areas. There are also mainly green borders at the buildings / the ship. 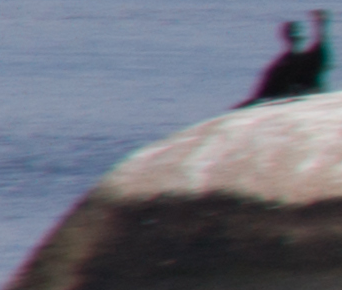 The chromatic aberrations seem to be quite a big problem for this lens. You won’t have this problem with every photo as this problem depends on several different aspects. On the second sample photo the CA are not that present, but you can never really be sure to not get massive CA. To support this I looked for other examples on the web and found a photo on Samsungs official flickr account. Just have a look at the lower left and right corners of the image. The CA there are really intensive and I am astonished that Samsung uses this photo for marketing purposes. I never expected this lens to provide very good results in this regard, but what I saw is not even on an average level for this type of lens. 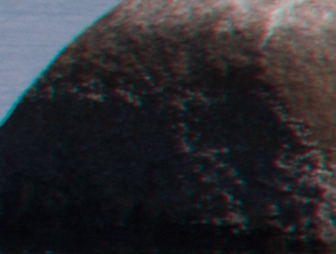 In the above samples (focal length is 130mm) we have already seen that this lens has also problems with the sharpness. The right corner is not perfect, but quite acceptable. The left side is even worse and I think this is not acceptable anymore. Remember that this could be due to a decentered lens. This could be good enough for smaller prints, but for everything else this is just not satisfying. At f/8 I would expect the corners to be better than what I got here. Looking at Sample 2 (focal length is 35mm) we have quite a good sharpness on the right corner, which surprised me a bit during my preparation for this review. But again, the left corner is as bad as in the other sample. I found no other photo in my archive which had at least average corner sharpness at all edges. Looking at the image from Samsung again I can see a bit better sharpness on their sample photo, but the left side seems a bit weaker, too. With the right focal length and aperture you can get acceptable corners with this lens, but using high or low apertures the corners are quite bad for all focal lengths. 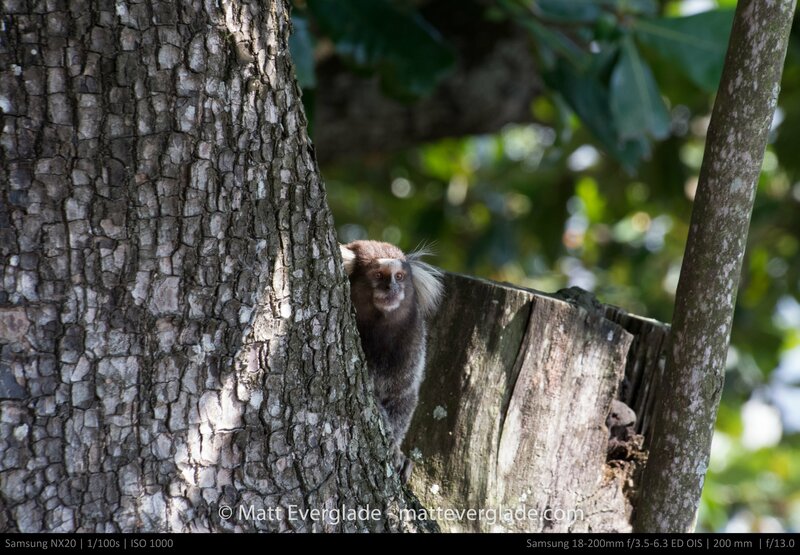 Nevertheless the center of the image is okay at every focal length. 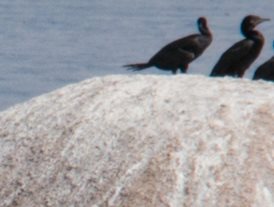 It’s not perfectly sharp, but for a long zoom lens I don’t expect it to be much better. In Sample 1 you can see a good amount of structure of the stone in and this should be good enough for most use cases. The lens actually gets weaker the closer you get to 200mm. 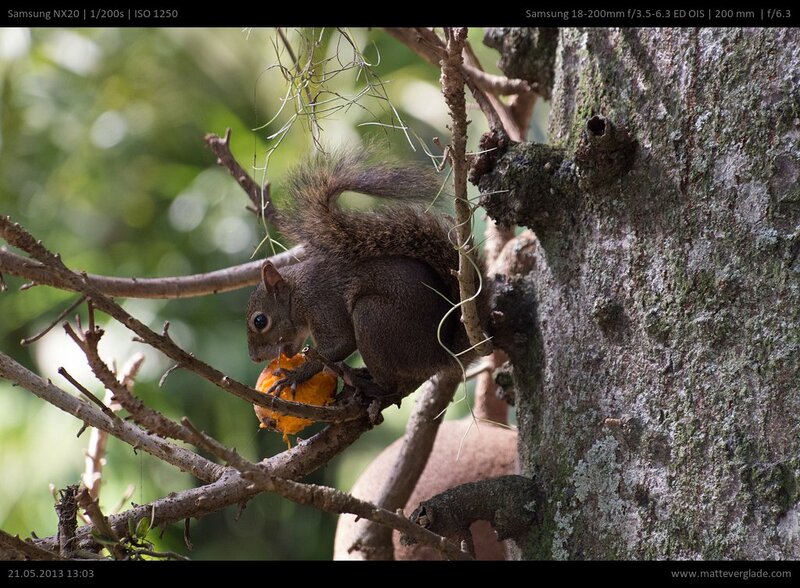 You can check this by looking at the full resolution file of the image with the squirrel. And yes, below you can also see what the “black shadow” is in the previous image. To conclude my experiences, considering my other photos with this lens as well: The center is acceptable sharp for most situations, but the corners are mostly unusable at least at the left side. Keep in mind that the lens might be decentered due to the difference in sharpness on the left and right side of the image. 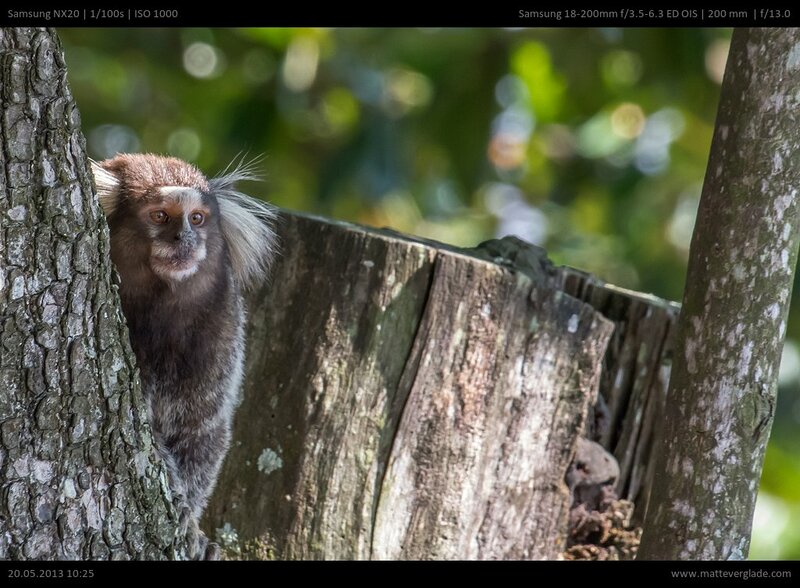 On my travel through Brazil I realised quite late how bad the lens performed, but in the end I started to choose a lower focal length and afterwards I cropped the images to avoid the unsharp areas. Thinking about the NX line up there are the kit lenses (Samsung 16-50mm F3.5-5.6 PZ, Samsung 18-55mm F3.5-5.6 and Samsung 20-50mm F3.5-5.6) which can be combined with the Samsung 50-200mm F4-5.6 to get a similar coverage of focal lengths. Those lenses are cheaper and the image quality is a bit better overall. 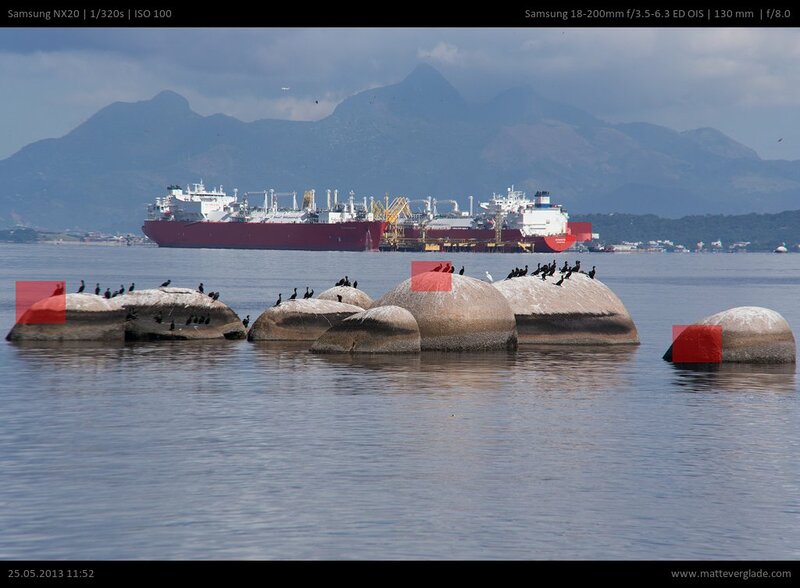 The negative point is that you need to switch the lenses.If you have enough spare money and/or need fast apertures you can buy the lenses Samsung 16-50mm F2-2.8 S and Samsung 50-150mm F2.8 S which are superior in nearly every regard. You might also think about buying cheap legacy zoom lenses. I wouldn’t suggest to do so as those old lenses usually perform quite bad on newer sensors. They can’t deliver enough resolution for the high megapixel sensors. There are some expectations like the Minolta MD Zoom 35-70mm F3.5, but this lens starts at 35mm focal length and you would need two additional zoom lens for the areas around 18-35mm and 70mm-200mm. I bought this lens for convenience. On my trips I was changing between the 18-55mm and the 50-200mm lenses quite often which was quite annoying for me and the person waiting for me. 😉 My hope was to get rid of this, but after I had to delete several images due to bad image quality I moved back to two lenses with better image quality. To avoid switching lenses again I just bought an additional camera body, a cheap Samsung NX1000. Back to the lens: I was quite impressed by the fast autofocus and I am missing this now, but overall I am more satisfied with sharp pictures than with unsharp ones. 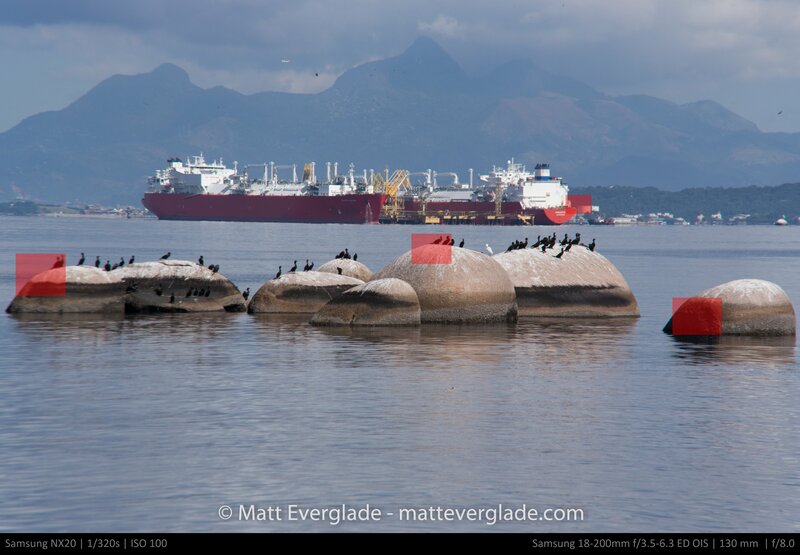 This is due to my motives as I am shooting mostly landscape, for other motives (e.g. portraits) the sharpness of the edges might not be a big deal though. This lens might suit your needs in case you don’t want to change lenses and you can live with the limitations concerning the image quality or you want to you want to use this lens for videography. For all other users I can’t recommend this lens. 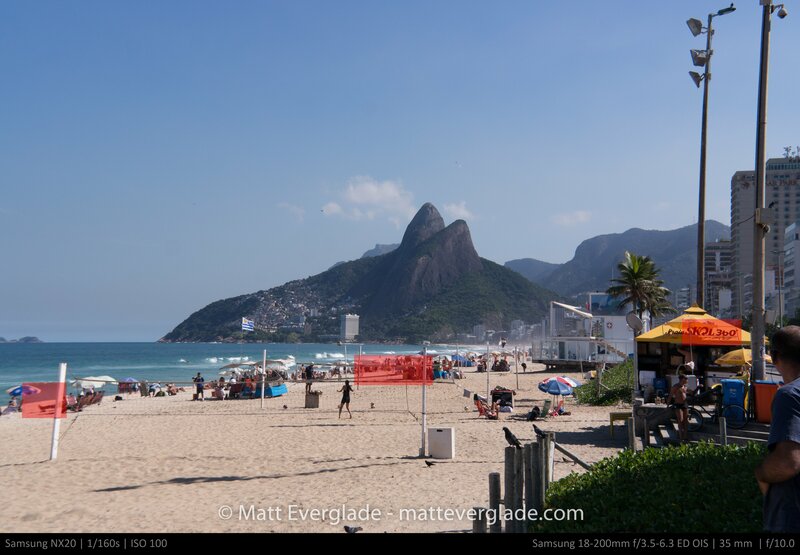 Comments on "Samsung 18-200mm F3.5-6.3 ED OIS Review"
I am so glad to read this. I bought this lens hoping to have a versatile lens for travelling that will cover all my needs in one lens. I am also very disappointed in the very poor focus quality on the left of the lens, particularly the bottom left corner. As a newcomer to CSC cameras from a point and shoot camera, I was thinking that this problem was to due to my ineptitude at focusing! I really think that for the price, it is not acceptable to have such a large difference in image quality on the right and left. I was thinking of sending the lens in to a service centre for repair or adjustment, but it sounds like there is no point.